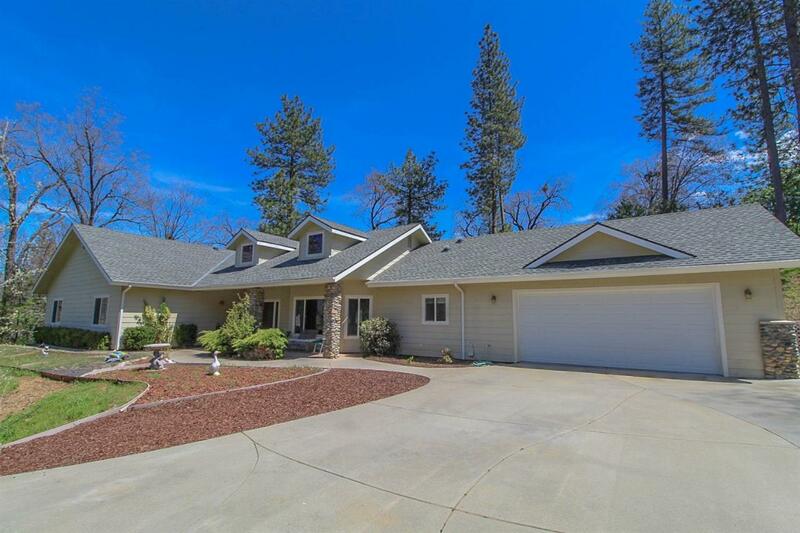 A lovely 3 bedroom custom home with office and 2 1/2 baths on 2 wooded private acres set amidst the pines and black oaks in Mudge Ranch! 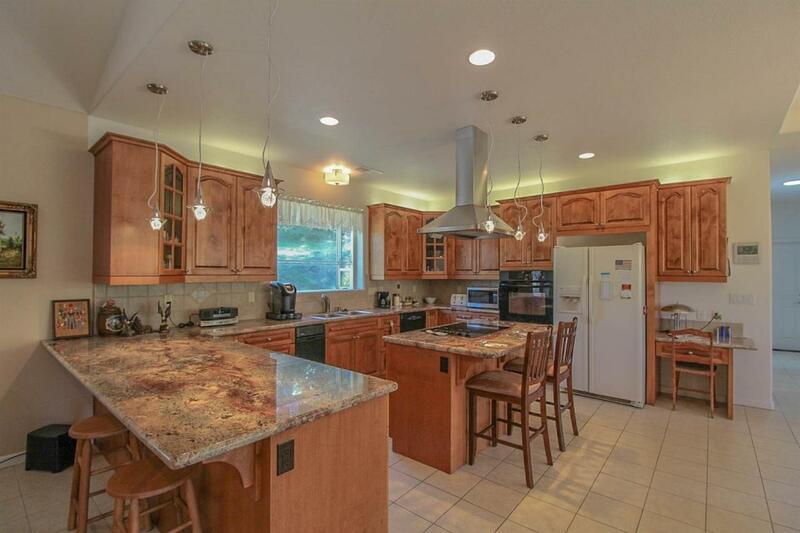 This home features a large open floor plan and numerous amenities such as a gorgeous kitchen with granite counters, cooking island, breakfast bar seating birch cabinetry and a pantry closet too. You will be pleased with large bedrooms each with walk-in closets and the master suite features double sinks, large shower with a soaking tub surrounded with window views. 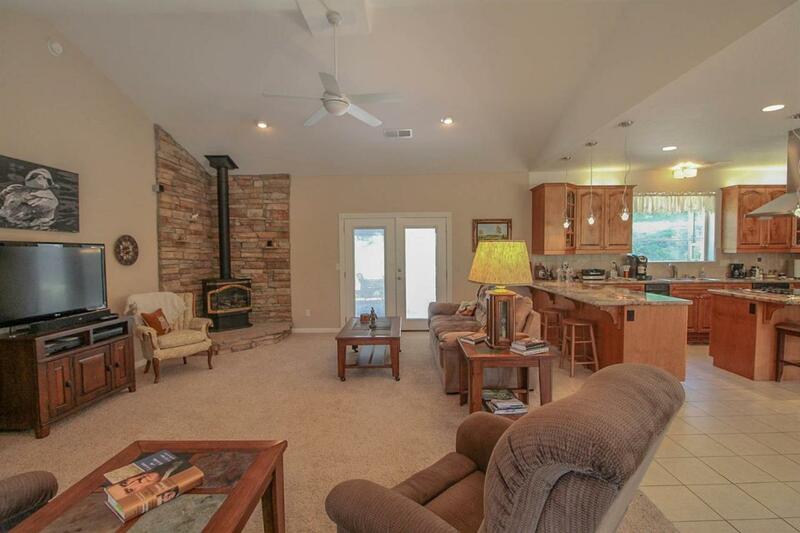 You won't miss the 4 tube skylights which add to this light and bright interior. The front entry is shaded by a covered porch and the rear patio features a covered pergola for comfortable outdoor enjoyment. Note 6 inch walls, R-38 ceiling insulation, R-19 in the walls and ceiling fans throughout! Garage is over sized and the drive is paved /w asphalt and concrete, circular turn around and plenty of parking too. 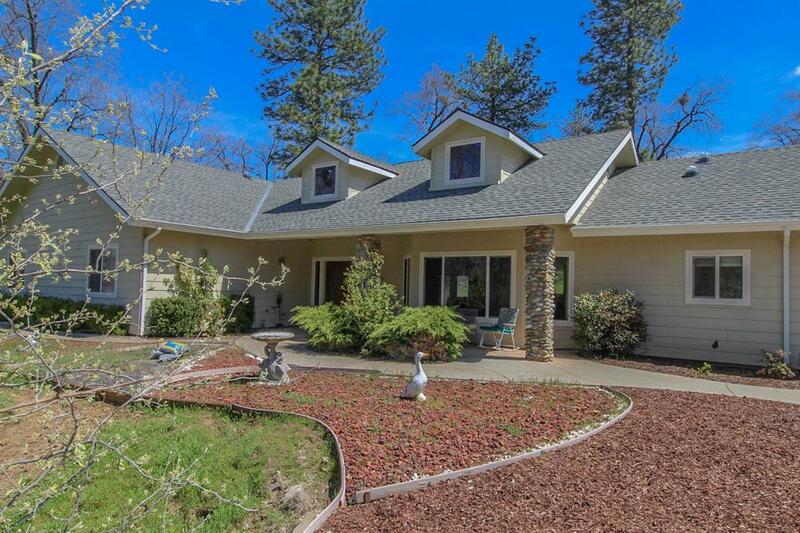 40 acres sits to the rear...lots of wildlife and privacy!